This one-of-a-kind memoir begins when graphic designer Carolyn Porter finds some beautifully penned old letters—written in French, and mailed from Germany to France during World War II—in an antiques store in Minnesota. The handwriting is so elegantly expressive, Porter decides she wants to create a new font based upon it. The more time she spends working with the letters, the more she desires to learn about the man who signed them "Marcel." Meticulous genealogical research and translations of the tender missives ultimately lead Porter to France, where she meets with Marcel's wonderful relatives. 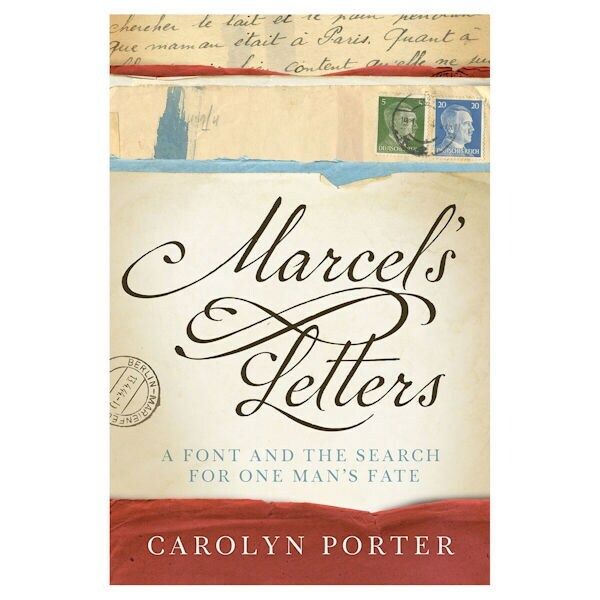 Marcel's Letters—the story of a woman, the font she created, and the man who inspired her—is bursting with history, mystery, and heart.